Antarctica, the final frontier. This is the voyage of four high school girls. It’s a three-month mission: to explore the strange new cold lands, to seek out life and civilizations, to boldly go where no high school girl has gone before. And boldly go they did. This is a beautiful story of growth, friendship and love all bundled into an adventure for these four girls. This original story starts off with Mari Tamaki trying to get out of her routine life as she wants to make memories as a young teenager. 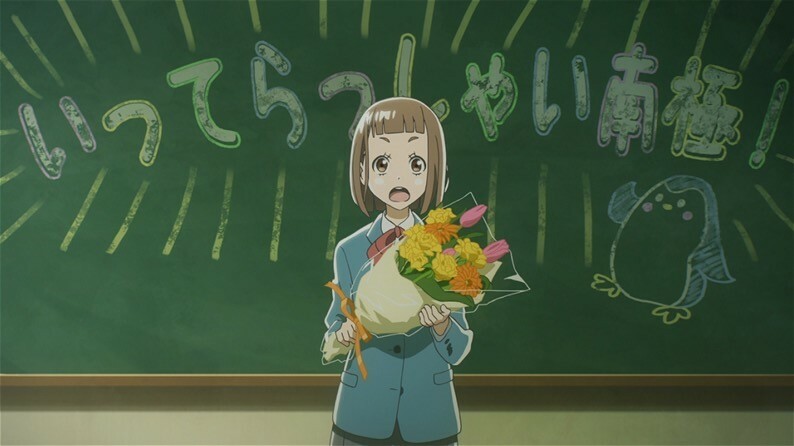 She has always relied on her childhood and probably her only friend Megumi Takahashi, to help her answer all these little things until she met with another schoolmate Shirase Kobuchizawa who wants to go to Antarctica. Mari is so intrigued about the idea and later found out from Shirase that her mother passed away on a civilian expedition to Antarctica several years back and that there will be one more upcoming really soon. Shirase has accumulated 1,000,000 yen to help her convince the current civilian expedition lead, Gin Toudou to let her go but failed to get her consent. They both later meet up with two other girls Hinata Miyake, a high school dropout and a child actress Yuzuki Shiraishi. Later, they convinced Yuzuki Shiraishi to let all of them tag along as the is going on to the expedition for news reporting. 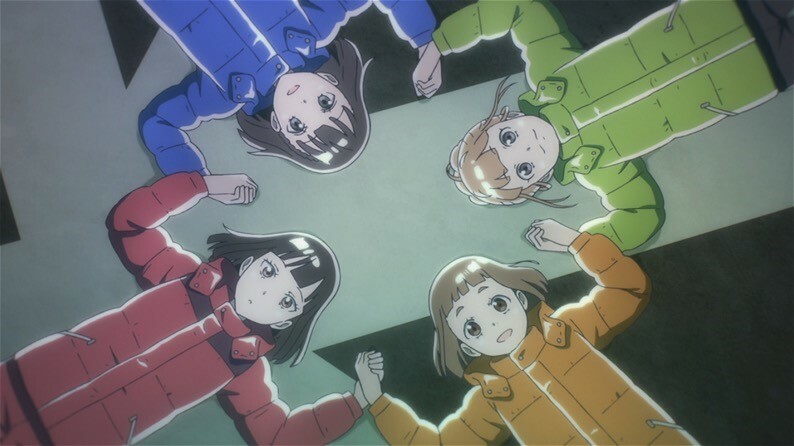 Hence, the four girls then began their journey to Antarctica, where they will face obstacles, such as friendship, bullying, and past tragedies and they will try and overcome it together. Madhouse has been a long-time powerhouse and have made really stunning shows such as No Game No Life, One Punch Man and many others. They have always shown high quality animation quality in their previous works and this is of no exception. The art style that is portrayed in the show is really nice and also conveys the right message to its viewers. The animation in this show is absolutely gorgeous where there is a great contrast between the colours and the smooth and crisp movement of the characters. There are many great composition shots that take place within the show that highlight the artistic prowess of this show’s animation team. Especially the girls journey to Antarctica, the team took all their effort to make all the locations the girls visit as realistic as possible. From their humble abode in Japan, to Singapore, to Australia and lastly the Showa Station in Antartica. All these locations are recreated in realistic fashion. 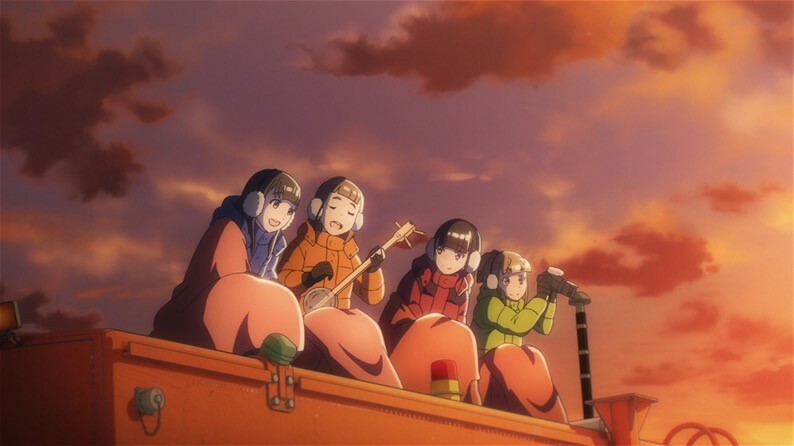 The soundtrack in A Place Further Than the Universe is really nice and soothing to listen to. Some of the scenes in the show felt more vibrant as not only the animation and art style were impressive but also the music that was being played is also great. 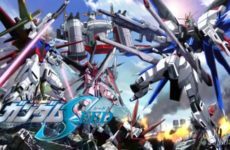 The insert songs were also a treat as it helped highlight certain scenes with powerful emotions, making for some real tear-jerking reactions from the audiences. Personally, it was really hard not to sympathise and cry for them. The opening and ending songs were such a treat. The visuals of the music video are so visually engaging and it portrays perfectly each of the four high school girl’s quirks and how everything relates to each other. The series composer, Yoshiaki Fujisawa has made such a great soundtrack and he manages make everything sound remarkable with great transitions. His execution has been on point and he knows how to tug your heartstrings and make it a really emotional experience. Also worth pointing out here that the overall quality of the voice acting is one of the best in recent years, with many great voice actors working together such as the main four being voiced by Yuka Iguchi, Kana Hanazawa, Saori Hayami and Inori Minase. As well as other notable figures, the quality of the voice acting was considerably high and they all gave it everything to make the characters memorable. I think the strongest aspect of the show, other than everything else, are the four high school girls. They all have something that they yearn for and at the same time they band together to go on a journey of a lifetime as young teenagers. Mari Tamaki, is a high school girl whom at times has trouble in accepting new things and because of that she is afraid of trying out new things. She then has always been relying on her childhood friend Megumi to get things done but even then it’s just at the minimal end. She wants to do something new which will allow her to differentiate herself from the rest of her peers and make some memorable memories, and now she’s met her enabler. Mari’s enabler, Shirase Kobuchizawa, is a high school girl who attends the same school as Mari wants to go to Antarctica. Mari is then infatuated by Shirase’s idea of going to the south pole and would also like to follow her. 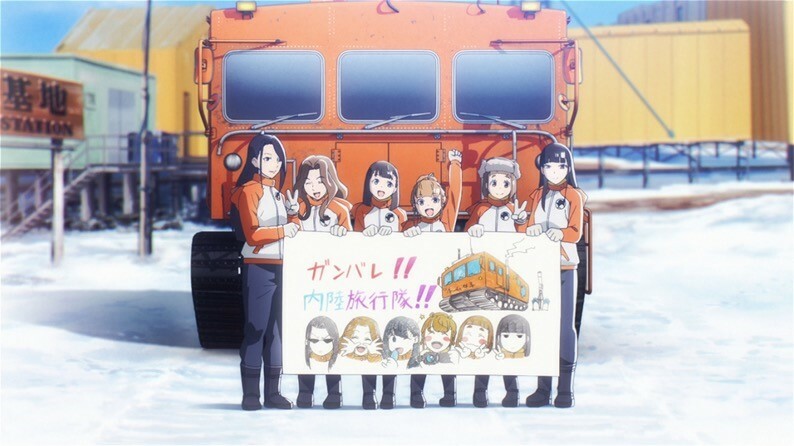 However, Shirase’s reason to go to Antarctica is the fact that she wants to go to the place her mom passed away, as she was a part of a civilian expedition team that went to Antarctica. She would like to go and try and find what her mom has left for her in the south. They then meet up with Hinata Miyake, whom is a happy-go-lucky girl who is a high school dropout and works in a convenient store. She finds out that both of these girls are going to Antarctica and decides to follow them. Hinata is a girl who is trying to run away from her own issues and found that she would like to have this little distraction to make her life better. Lastly, is Yuzuki Shiraishi whom is known as a child actress was assigned to go on the next civilian expedition as a reporter. The girls then found out about Yuzuki and asks her if they can tag along. She is a very timid girl who does not have any friends and is wondering what friendship is like. She is such a pure person and has a lot of things to learn about what friendship really is. These four girls are in for a journey of a life time as a young teenager by going to one of the most isolated regions in the world. On the way, they will learn all about themselves and how they will grow and be better people. They are going with a group of civilians whom have worked with Shirase’s mother and are likely going to find out what she has left behind for them. 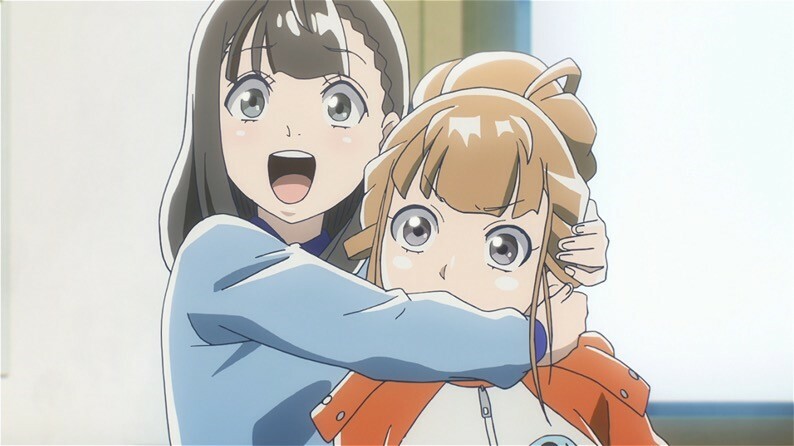 Do you have any thoughts on Sora Yori mo Tooi Basho you’d like to share with us? Do you think that this show deserved to be the best Winter 2018 Anime? I’d love to hear what you have to say! Leave them down in the comments below and we can have a discussion about the show! Previous Post Zygarde GX, the new monster to be feared? 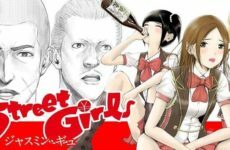 Next PostTop 6 Chinese BL Novels to Read!